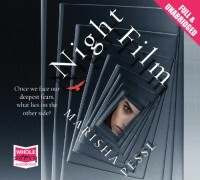 What got my attention with Night Film - apart from the great cover (nice work) - were the comparisons early reviewers made between this and House of Leaves. For those of you who haven't come across HoL yet, go and get a copy - especially if you're adventurous and like your literature to toy with you. Nominally a ghost story HoL breaks all the conventions and does it in a highly entertaining, if disturbing way. One day I'll write a review of it, but NO today I'm going to talk about Night Film. So because I loved House of Leaves I was intrigued by the comparison. Could it be, I wondered, that Night Film was going to be as inventive and challenging? That Marisha Pessl would have found new and exciting ways to take a compelling tale of the uncanny and deliver it to an audience? Which isn't to say Night Film is a bad book (although it does include some truly scary prose - more about that later). It's the story of a journalist, Scott McGrath, who crossed swords with a famous, but reclusive film director, Cordova years before and came off worst. McGrath has a lingering need to repair his reputation, so when Cordova's only daughter, Ashley, commits suicide, McGrath decides to investigate the death and a tale unfolds of black magic, weird cults and ruined lives, with McGrath closing in on Cordova, a man no one has seen in the flesh for many years. It's a brilliant premise, which Pessl executes deftly. The plot zips along with gusto, taking in all kinds of fascinating characters - a mad ex-movie star, a Greenwich village witch - and settings - a transvestite club in an isolated clifftop mansion, the deserted movie sets on Cordova's rambling estate. Her writing made me grit my teeth - no one ever just smiles in Night Film, they smile wanly. or warily, or sadly, or possibly all three at the same time. They also eye each other sharply (eyeballs are ROUND) and speak in random italics, but these quirks aside, it's a smooth, engrossing read. And as for the 'special features' which got everyone excited about this being the next House of Leaves - these amount to the usual epistolary devices used in all the best horror fiction, from Dracula onwards, updated by Pessl from the ships logs and diaries used by Bram Stoker, to websites and articles from Time magazine - they're cool, but they're nothing new. There's also an app you can download to scan certain images in the text and release new features - it's amusing, but it adds nothing much to the story. 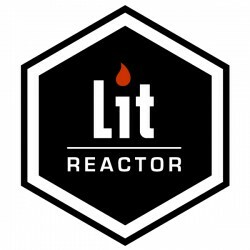 Overall, a four star plot, pulled down half a star by clunky prose. If you love a good supernatural tale and find gimmicks interesting, Night Film is definitely for you.